The gaming industry is evolving constantly. So, let us introduce you to 5 most influential and high-end products that change the tendencies in the gaming world. Although a virtual reality headset can offer maximum immersion in terms of visual perception, it’s not the news that most games are still played with monitors. 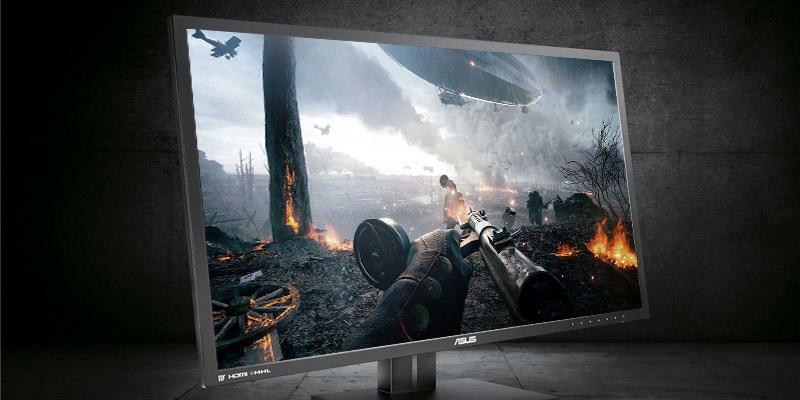 However, 60-75 Hz monitors are taking a back seat, making room for the 144 Hz monitors with only 1 ms response time. The reason is that a big screen has larger resolution and requires faster refresh rates in order to show a smooth picture, which is especially noticeable during dynamic scenes. 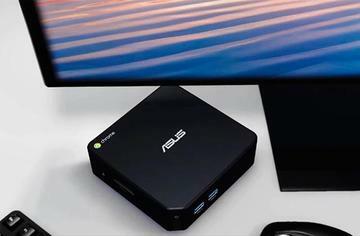 As the release of the most recent HDMI 2.1 version, that supports 4K resolution at 120Hz, has only been announced in January 2017, there aren’t many tested hardware options that we can fully recommend for such resolution. 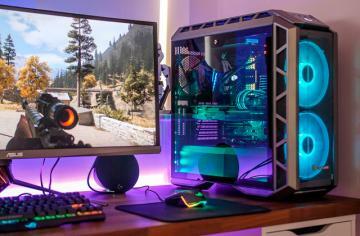 Thus, the Dell 24” Screen LED-Lit Monitor with G-SYNC, that offers up to 165 Hz refresh rate at 2K resolution, is currently the ultimate solution among the best gaming monitors. At least for now. 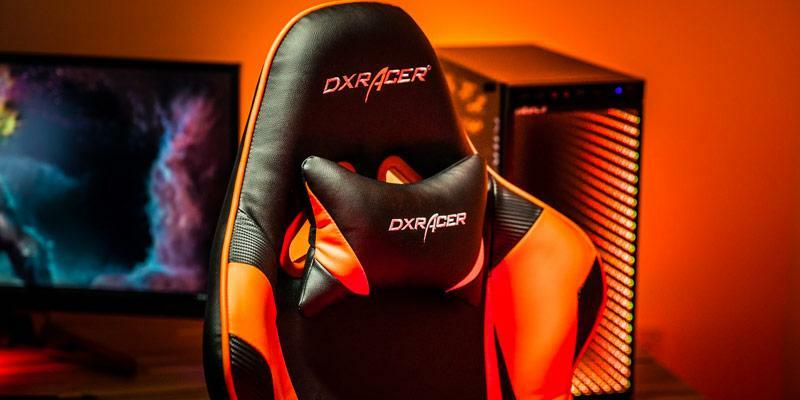 The DXRacer chairs, such as the DXRacer OH/RW106/NE from the Racing series, have quickly gained popularity around the gaming community for their convenience and easily recognizable style. You can often see the top players in the chairs from this brand on many professional tournaments worldwide - World Cyber Arena, LCK League, and MLG just to name a few. Also, they are so popular among the streamers, that there’s even a person who has photoshopped the chair on his stream. Obviously, we advise using a real one if you want to experience the perfect comfort while playing games. The good part is that they are even not so expensive as some might expect. A good communication may tip the scales in your favor during a hard match. 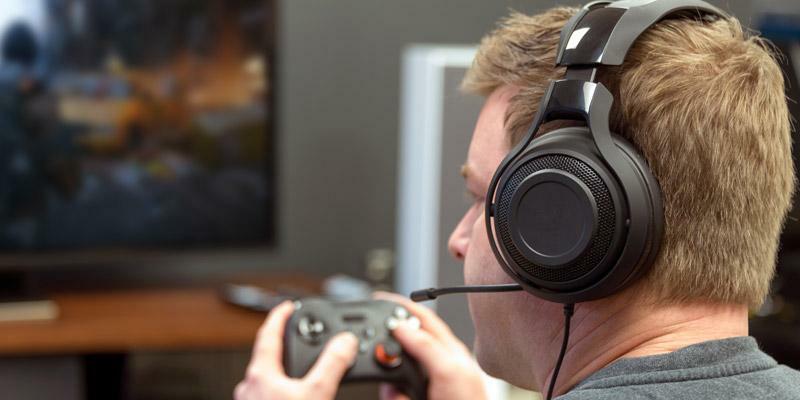 Therefore, the HyperX Cloud Stinger Gaming Headset from Kingston is one of the finest headphones out there. The memory foam earpiece has become the company’s signature, providing the maximum comfort to a wearer. Another major feature is the mic with active noise cancellation, that provides the crystal-clear sound of your voice both to the teammates and the viewers. It also has a swivel-to-mute option, where you just slide the mic up to turn it off. The speakers offer quality sound with 18-23,000 Hz response, owing to the 50mm directional drivers, placed inside the closed-back cups. 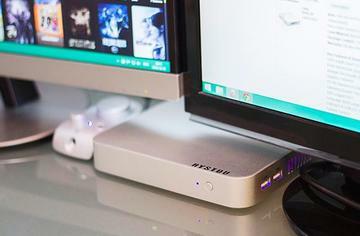 Finally, it has a 3.5mm jack, which makes it compatible with any gaming console and, of course, PC. Overall, it’s one of the best lightweight headsets you can get for the price. It may be wrong to say that a certain mouse is the best one simply because different people have different physiology. Still, there are only a few that can be considered to be on par with the Logitech G502 Proteus Spectrum. It’s a widely popular model for action-oriented games, including MOBA, MMO, FPS, and so on. Although there’s no model for the left-handed, its ergonomic design is ideal for most of the right-handed people, regardless of the palm size. 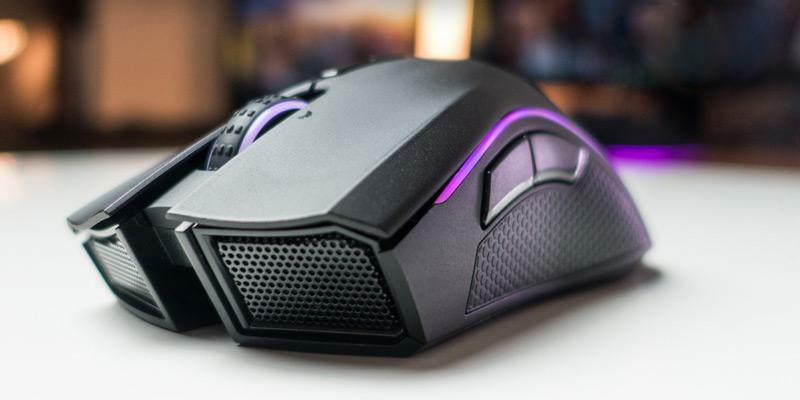 The mouse features 11 fully customizable buttons, plus a scrolling wheel. 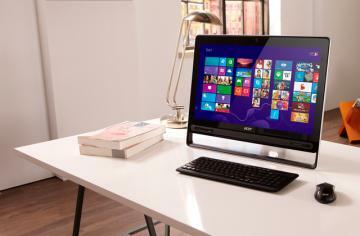 The laser’s sensitivity can be adjusted from 200 to 12,000 DPI setting on-the-go with a mouse control. The icing on the cake, though, is that you can fine-tune the balance of the mouse by adding from one to five 3.6 g weights (0.126 oz) in different positions. The programmable RGB lighting is a nice addition for those, who like personalizing not only the mouse controls but the look as well. To our taste, the Razer BlackWidow Chroma V2 is a pinnacle of the gaming keyboard design. 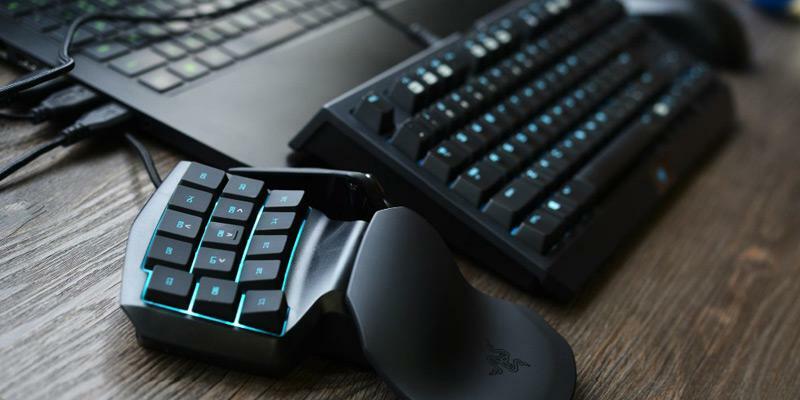 The Razer has taken its previous BlackWidow Chroma V1 model and updated it with a few slight improvements, that made a great keyboard even better. The most significant change is the comfy wrist rest with a cushioned top and magnetic straps. With it, your hands and wrists will be less tired from day or night-long playing sessions. Just like before, you can fully customize the key backlight with 16.8 million colors according to your own preferences. There are also 5 programmable keys on the left with the option to bind each of them with not just a single command but macros as well. Despite our fears that you might accidentally hit them with a finger instead of ctrl, shift or tab buttons, it turned out that the gap between them and a standard keypad is just enough to easily differentiate them and prevent a misclick. It’s worth mentioning that the keyboard is now available with 3 types of key switches: either tactile and clicky (green switch), tactile and silent (orange) or linear and silent (yellow). Each of them can also make a huge difference in the heat of the moment, so choose wisely.